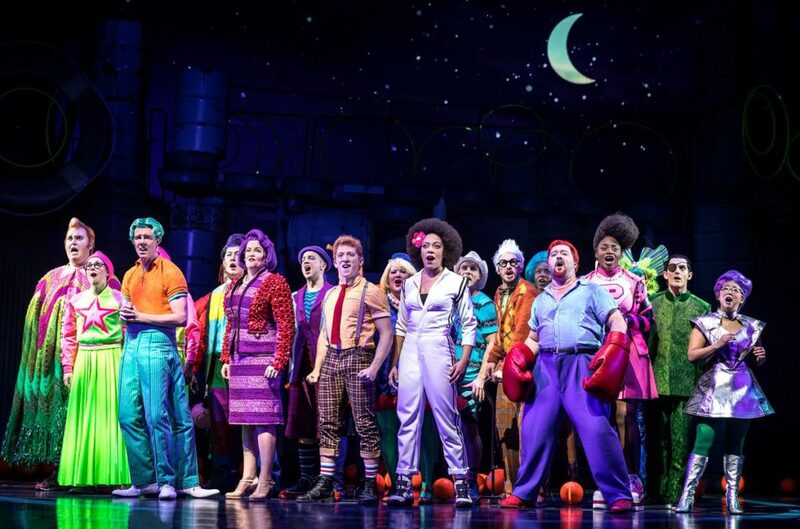 Let's all do the Bikini Bottom Boogie because SpongeBob SquarePants: The Broadway Musical is launching a North American tour in fall 2019! The new tuner, co-conceived and directed by Tony nominee Tina Landau and based on the hit Nickelodeon cartoon, was nominated for 12 Tony Awards, including Best Musical, Best Score and Best Book, and 10 Broadway.com Audience Choice Awards. Tour cities and casting will be announced at a later date. As previously reported, SpongeBob SquarePants will end its Broadway run September 16 at the Palace Theatre. The musical arrived in New York following a Chicago out-of-town try-out last summer. When it closes, the Broadway production will have played 29 previews and 327 regular previews. In SpongeBob SquarePants, stakes are higher than ever as SpongeBob and all of Bikini Bottom face the total annihilation of their undersea world. Chaos erupts, lives hang in the balance and just when all hope seems lost, a most unexpected hero rises up and takes center stage. With a book by Kyle Jarrow and choreography by Christopher Gattelli, SpongeBob SquarePants features original songs by Cyndi Lauper, Sara Bareilles, John Legend, Steven Tyler and Joe Perry of Aerosmith, Yolanda Adams, Jonathan Coulton, Alexander Ebert of Edward Sharpe & The Magnetic Zeros, The Flaming Lips, Lady Antebellum, Panic! at the Disco, Plain White T's, They Might Be Giants and T.I., with a song by the late David Bowie. Jonathan Coulton provides additional lyrics. The Broadway cast of SpongeBob SquarePants is led by Tony nominee Ethan Slater in the title role, with Lilli Cooper as Sandy Cheeks, Tony nominee Gavin Lee as Squidward Q. Tentacles, Danny Skinner as Patrick Star, Wesley Taylor as Sheldon Plankton and Brian Ray Norris as Eugene Krabs.